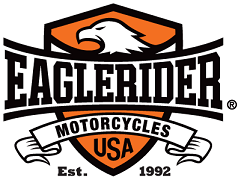 In 1992, EagleRider pioneered the Harley-Davidson® motorcycle rental concept and the guided motorcycle tour business. Today, we are the world's largest motorcycle rental and tourism company specializing in rentals of Motorcycles. EagleRider’s selection of perfectly maintained Harley, Honda, Yamaha and BMW motorcycles allow one-way rentals or guided tours between corporate locations, HD Dealerships, and franchise rentals facilities located in the most desirable tourist destinations in the world.